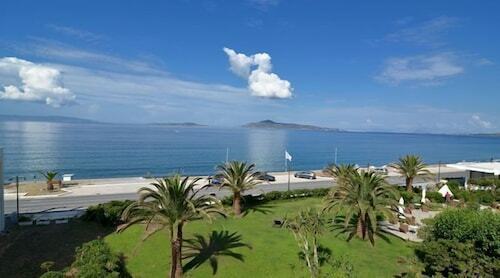 Expedia Elafonissos holiday packages help you save money! Combining your bookings will give you more cash to splurge for your awesome adventure. Savings of up to 15%* are waiting for savvy vacationers who book a package deal on Expedia. With more than 400 partner airlines and 321,000 properties to mix and match from on our international database, you won't have any difficulty crafting your dream holiday. Unsure about your booking? There are no extra charges from us for changing almost any reservation. There's no end to the number of awesome things you can do when you visit a new destination. So why not get your trip to Elafonissos off to a flying start by taking a look at some of our recommendations? After all – out there starts here! Kite flying by the seaside is something the entire family can get involved in. If it's a breezy day, why not try launching one at Simos Beach? Still got time on your hands? Creep through the subterranean passageways and tunnels at Cave of Kastania. If you're feeling bold, turn off your light and spend a few moments in complete darkness. Heading to Elafonissos? It'd be a good idea to book a room for your luxury getaway or cheap holiday as soon as you can. There are only 4 properties available. 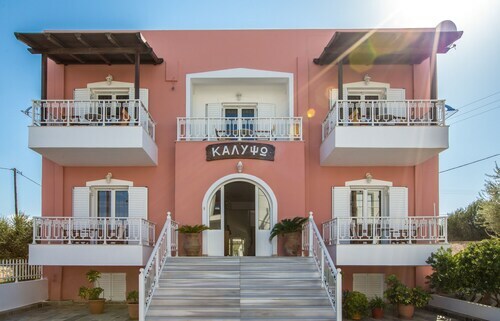 If you're searching for accommodations with first-rate reviews and cosy beds, you can't go past the Calypso (Elafonisos Lakonias) and the Aquamarine Hotel (Neratziona Beach, Neapoli). Make your way through security, hop onboard the plane, take your seat and get set for the flight! 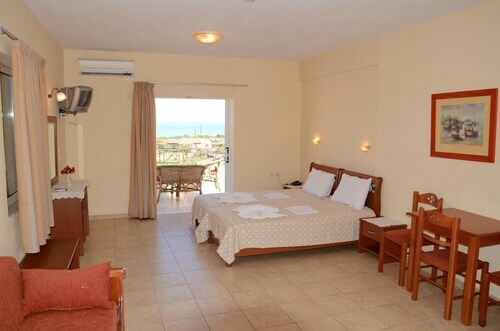 Your trip to Elafonissos is only a plane ride away. After the wheels touch the ground at Eleftherios Venizelos Airport (ATH), you'll be about 110 miles (177 km) from the central areas. Large room and modern nice bathroom. Breakfast was simple but homemade typical greek style and served in the room, that was great! Great staff. 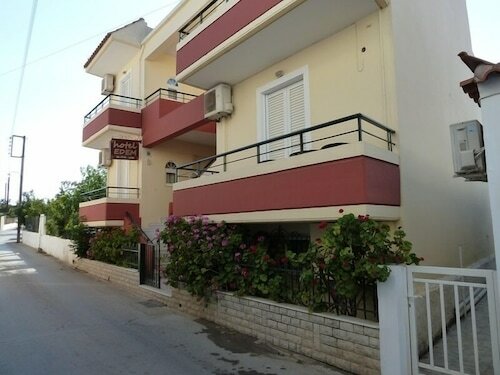 Walking distance to restaurants and shops. Owner is fantastic. Great hotel, staff was wonderful. 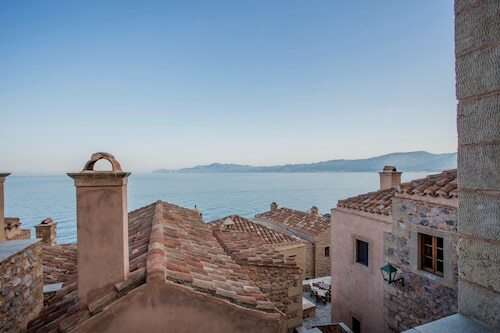 Likinia Hotel is inside the walked Castle of Monemvassia, a very interesting and special location. It was a rewarding experience staying there.